It’s Friday and all we should be thinking about right now is the weekend. But before we can kick off those two glorious days of relaxation, that we spent all week looking forward to, we need to answer a very important question. What is our weekend cocktail going to be? What will we be drinking while we sit by the pool, or in the backyard, or even just on the couch (I’m not judging)? Weekends are so special that they deserve their very own cocktail. It’s true! A Friday-Saturday-Sunday drink is so much different than a Monday-Tuesday-Wednesday-Thursday drink. During the week, it’s all about a glass (or two of wine) as I wind down from the long work day. Anything more than that, and I won’t be getting out of bed the next morning. I’m not as young as I used to be. And since I always have way too much work during the week, I tend not to overdo it. But come Friday, give me a perfectly mixed cocktail and I’ll be good to go. I am a big fan of margaritas in general. Any flavor margarita, I’m not picky. I’ll take them any way I can get them. On the rocks or blended. It doesn’t matter. If I had to make a choice though, I’d much rather prefer a frozen margarita. It’s a lot more refreshing, especially on a hot summer day. There’s something so exciting about margaritas. I think it’s the idea of drinking them at a bar of a restaurant, snacking on chips and salsa and guacamole and chatting with a few people about nothing in particular. It’s chill without any of life’s stresses or worries. Am I painting you a good picture here? I hope so. Go out this weekend, gather some friends and family, and have some margaritas and chips with salsa just for me. You’ll be thankful you did, and I’ll be glad you took my advice. (Plus I’ll get to live vicariously through you, so there’s that). If you’re still on the lookout for what you’re weekend cocktail is going to be, look no further because I’ve got you covered. It’s summer so that means we should all spend less time indoors in a kitchen and more time outside as much as possible with a drink in hand. Where ever allowed of course. Let’s not do anything illegal here. 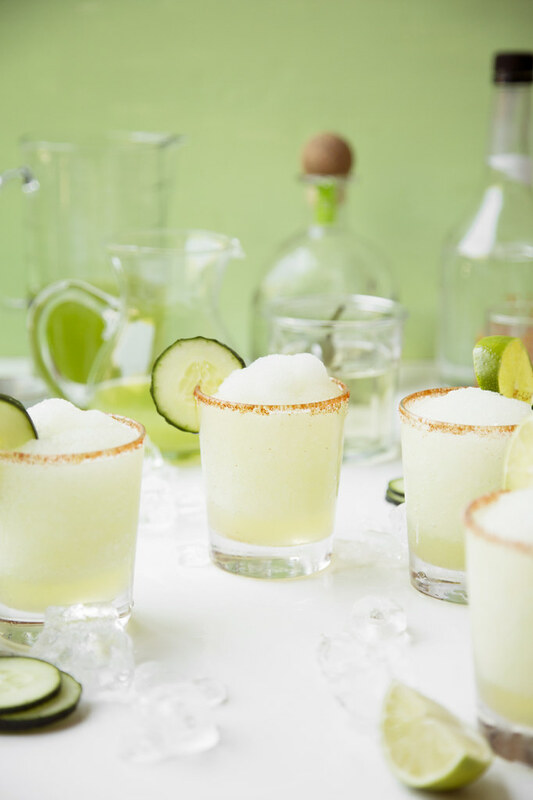 These Spicy Honeydew Cucumber Margaritas are summer at its best. 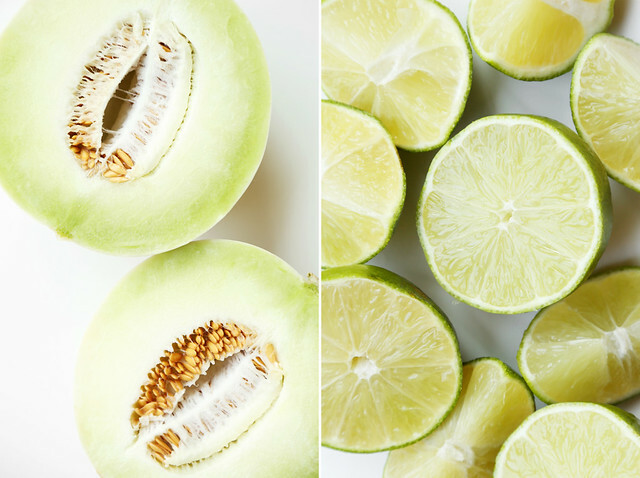 The fresh honeydew and cucumber juice really make a difference and the fact that it’s blended makes me very happy. I think it’ll make you happy too. Go out and celebrate the weekend. You deserve it. I’ve been lucky enough to visit New Orleans more than a few times now to spend time and work with my friend Joy but also to sightsee and enjoy the city on a vacation with Julian. The first thing I always want to do right off the plane, like a tradition now, is get a Bloody Mary. Maybe even two of them. Before anything else, even before eating the amazing food there or sight seeing and listening to the super talented street performers. A Bloody Mary is top of the list. The greatest thing about it is that Joy never complains and just allows me to drink my cocktail while walking through the quarter to her place. I think that Bloody Marys are synonymous with Sunday brunch, and I couldn’t picture my life without them. Don’t even get me started on restaurants that offer endless Bloody Marys, those places can be very dangerous. The cold cocktail made with tomato juice and a bunch of spices and seasonings, garnished with celery sticks and everything else but the kitchen sink, just calls out to me. It makes breakfast taste better, doesn’t it? This whole Easter Brunch Bonanza wouldn’t be complete without a brunch time cocktail. At first a mimosa sounded good to me because endless mimosas are just as equally as amazing. There was something holding me back though and then all of a sudden, Bloody Marys came to mind. I knew that I couldn’t just give you a classic every day cocktail that we’re all used to. 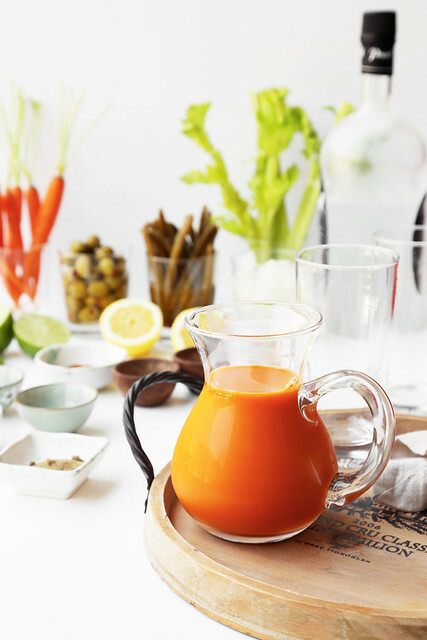 This Carrot Bloody Mary was inspired by my mother because her favorite juice happens to be carrot juice. I’ve never wanted to drink it myself, but for some reason it just sounds more appealing when vodka is involved. All of a sudden I can’t get enough of it. That’s the power of a Bloody Mary. Our mega Easter Brunch celebration has come to an end, but before we start crying and throwing things, let’s focus on the positive. We now have five great recipes to make for a delicious and show-stopping brunch. We started the week off with a simple savory pastry that was almost too good to be true, Roasted Asparagus and Prosciutto Croissants. Then we made things super fresh and healthy with this Cucumber and Strawberry Salad, which was the perfect blend of savory and sweet. Plus it made us feel like we were making the right choices in our menu. We then made the brunch menu shine and turned things up a notch with our Spring Eggs Benedict that had all of the things we loved about brunch but with a much needed twist. What’s a meal without some kind of sweet dessert? We rounded out our brunch with Carrot Cake Scones which I swear to you, taste just like carrot cake. It’s something magicians would make without revealing their secrets. 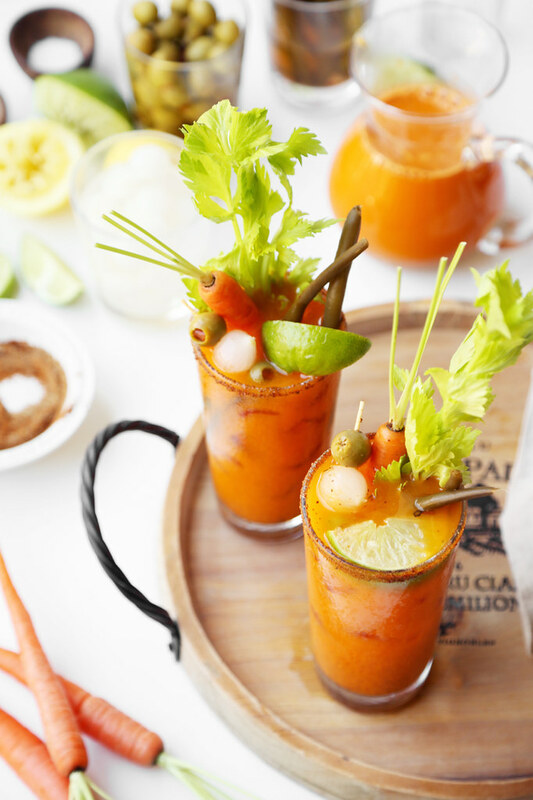 And last but certainly not least, we finished things off with these Carrot Bloody Marys and began an obsession with me that I don’t want to talk about. I hope you’ve enjoyed this Easter menu and I hope you’ll give them a try. Let’s make some cocktails, now! I’ve always had this fantasy of living in a large home, maybe somewhere in the South—one of the Carolinas for sure, I’m thinking North—with a big patio or wrap around porch. In my fantasy, I’m drinking iced tea on said porch or patio, on a hot summer’s day. Heavy on the iced part because I don’t do well in the heat. I’m lounging on a chair and just drinking my tea enjoying the passing days. Waving at a few neighbors that walk on by. I may or may not speak with a Southern drawl in my fantasy, I haven’t decided yet (but you better believe I’ve been practicing it). This is where I’d plot all my villainous schemes. I’d invite my enemies over for some iced tea, all the while planning out ways on how to backstab them….wait, that’s not my fantasy. I think I’ve been watching way too much House of Cards lately. I get confused. Kevin Spacey is teaching me all the wrong ways of life, you can’t blame me. Now try not to judge me too much, but this is actually the first time I’ve ever made iced tea before. Like ever in my life. I can’t really say I’m an iced tea expert per say. I’m far from a tea pro so I had to do a little research (and by a little, I of course mean a lot). My google searches were something like, “How to make basic iced tea?” “How long do I steep tea bags in iced tea?” and “Fool proof iced tea recipes to win contests and major prizes.” That last one didn’t bring me any hits, but you can’t blame a guy for trying. I had to come up with my own recipe. 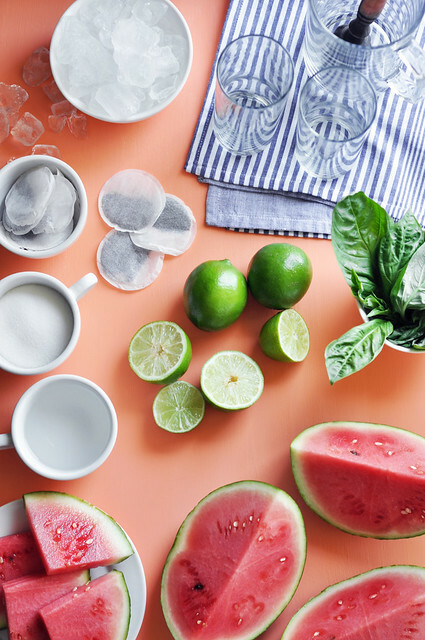 Iced tea is one of those things that I always drink at other people’s homes or at restaurants, but have never really thought about making it myself. I don’t know why, I guess I always just assumed it was too difficult to make. Something about boiling water and making tea, scared me. I have a phobia of boiling water. I don’t have a phobia of boiling water, it’s a joke (someone please laugh). I was wrong though. It’s actually really easy to make iced tea. The best part is that you can add all kinds of awesome flavorings to it, and make it so much better than just plain boring iced tea. Don’t get me wrong, plain and boring iced tea is still a favorite of mine, but plain and boring doesn’t win any contests and I want to win contests for sure. So I learned a valuable lesson through all of the recipe testing I did, over the last couple of days. 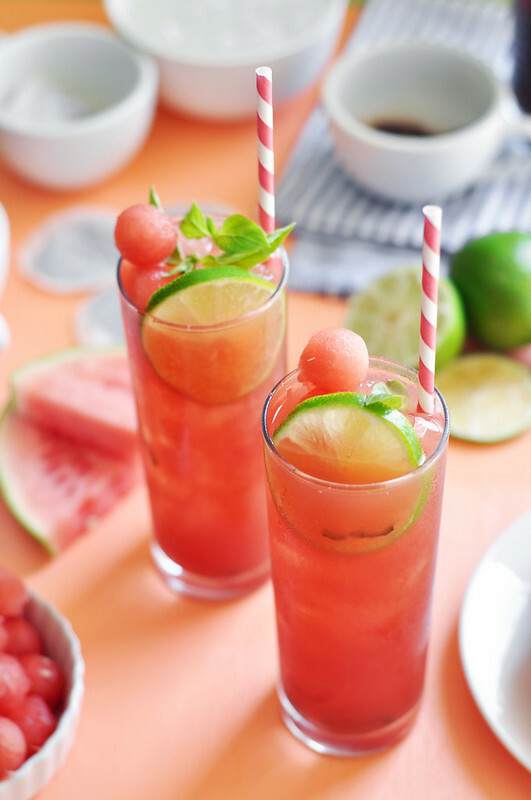 The lesson being that watermelon and iced tea are long lost friends. Destined to be together forever. That forever being in a pitcher in my fridge for my drinking pleasure.